Ready for move-in! 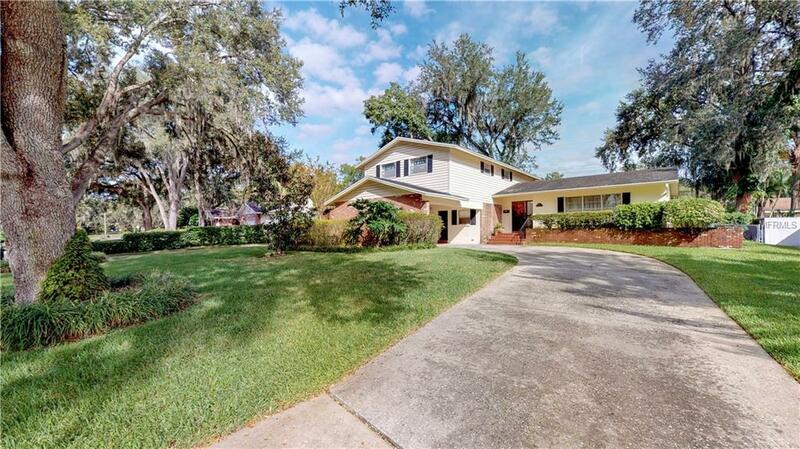 Meticulously maintained custom 2-story home located in Temple Terrace Estates in the heart of Temple Terrace offers 4 bedrooms and 3 bathrooms on an oversized homesite with circular drive and private fenced yard. Downstairs layout with open living and dining room combination can be lived formally or informally, traditional kitchen and dinette with wood cabinets and granite tops, cozy family room with sliders to the private backyard, and a bedroom and full bath. Upstairs features spacious master suite with his and her closets, plus 2 additional bedrooms and bath, one bedroom being oversized with the ability to be split into 2 separate rooms. Additional amenities include numerous built-in features, ceiling fans, exceptional storage plus separate storage room, laundry room, fenced private yard. Temple Terrace is conveniently located: Close to Museums, Hospitals, University of South Florida, Temple Terrace Golf and Country Club, Parks, the Family Recreation Complex, plus so much more. This home represents the epitome of spaciousness and comfort!